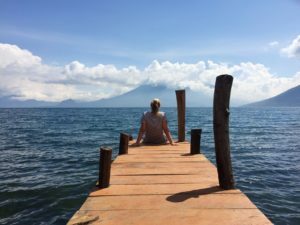 When I decided to learn Spanish in Central America, I had no idea I was about to stumble on one of its cultural capitals. But stumble I did. And I fell hard for the incredible Antigua Guatemala bars, restaurants and cafes. From dive bars to local hot spots you can’t leave town without trying one of the best restaurants in Antigua Guatemala. 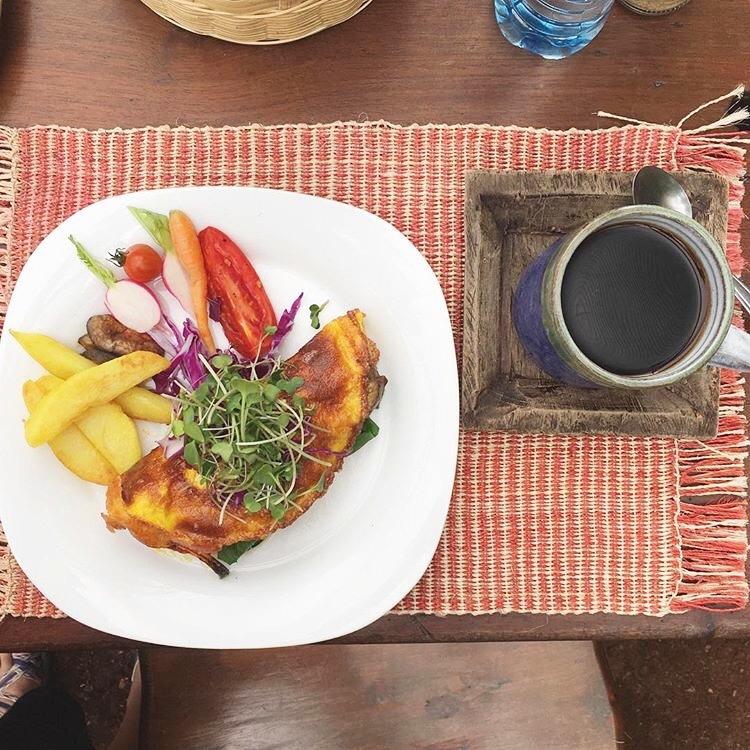 A local organic farm that supplies the best restaurants in Antigua Guatemala is also home to one of Antigua’s best cafes – Caoba Farms. It’s a little walk from Parque Central, but the large servings, fresh veggies and amazing pizzas are well worth it. Head here for Sunday brunch or lunch and go for the omelette or their famous pizzas. They even have a cute little organic supermarket attached where you can buy some of the best Guatemalan coffee, and drink it too! A favourite amongst locals, Rincon Tipico, holds pride of place as one of the best Guatemalan restaurants in Antigua Guatemala. Lunch is the time to visit, when the bbq is lit and they are serving their famous potatoes. Traditional Guatemalan food, you can choose from chicken (pollo), mixed meats (mixtas) and chorizo (spicy sausage) plus a range of salads. I went with the mixtas and was not disappointed. I’d have to say, this might be my favourite restaurant in Antigua Guatemala. 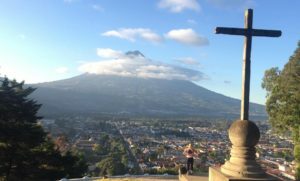 Super popular amongst the students at Antiguena Language school, Bella Vista (as the name suggests) has one of the best views in Antigua… And some of the best Guatemalan desserts and coffee. Head here post lunch, and treat yourself to coffee and Pan De Queso (A Guatemalan version of cheesecake). The menu isn’t large, but it doesn’t need to be with this view. 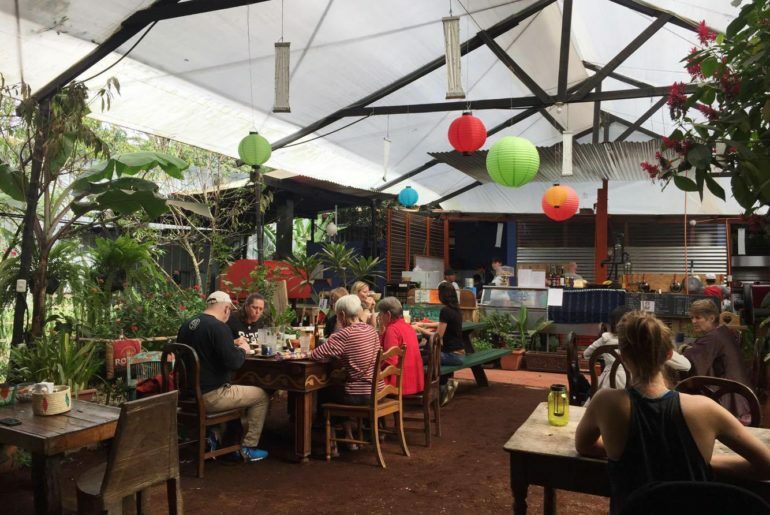 Another of Antigua’s sustainable, organic cafe offerings. Union Cafe is serving up amazing smoothies. And if you’re after a taste of home, the hummus and avocado sandwich will hit the spot. They also offer yoga on Saturdays for 35Q, plus a free smoothie. Go for the Smart – coffee, crushed up coffee beans, and banana. The perfect post yoga pick me up. This bar would rival Melbourne’s best for its secretive shop front and quirky interior. Café No Sé – a not-so dive bar, is the perfect locale for civilised drinks any night of the week. The staff are friendly and you might even be lucky enough to be treated to some live music. 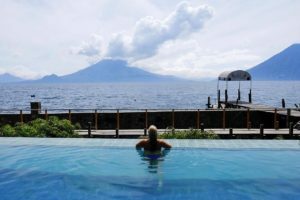 If you can find it you’ll be treated to one of the best bars in Antigua Guatemala. 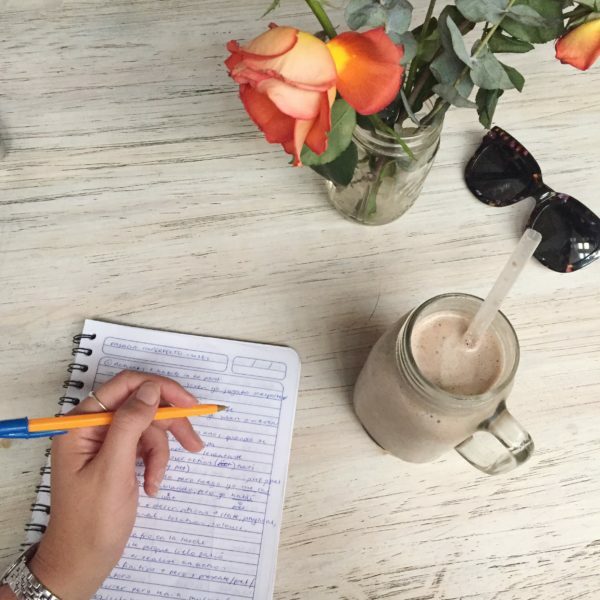 Living up to its name, this cosy cafe – The Refuge, is a hideaway from the hustle and bustle of Parque Central. They take coffee very seriously, roasting in small batches to ensure freshness. 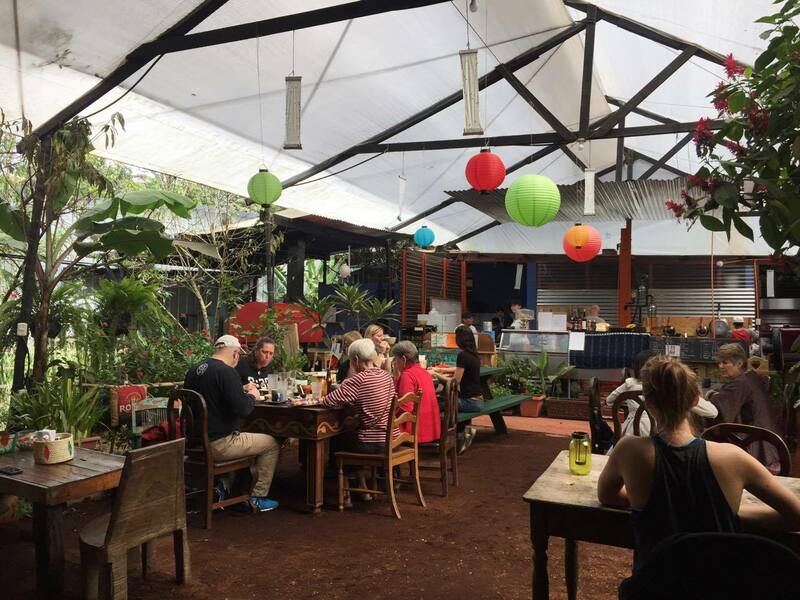 Head here when you want some head space and a serious cup of Guatemalan coffee. The bad news, this is not a cafe. The good news, this is one of the best restaurants in Antigua Guatemala. Cafe Por Que No or (Cafe Why Not, in English) can be found at the top of a rickety spiral staircase. It serves epic cocktails and the menu has a wide variety of options. Don’t feel like eating traditional Guatemalan tonight? This is the place to splurge. This has got to be one of my favourite Antigua Guatemala restaurants. And it will soon be yours too. A hole in the wall cafe, La Parada is the perfect spot for a quick takeaway before a day of learning Spanish or pottering around Antigua’s cobblestoned streets. The Guatemalan coffee is just as good as any serious Melbourne roaster and their galletas (cookies in Spanish) are delish. Another of Antigua’s options on the quirky dive bar scene. San Simon is serving up some of the most delicious cocktails going around. They are so cool they don’t even have a menu, simply tell the bar staff your tastes and they’ll whip up something amazing for you. Pair your cocktail with a game of Cards Against Humanity and you’ve got yourself and awesome night. 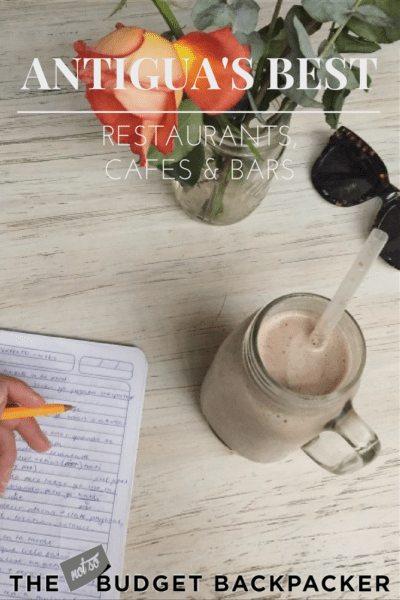 all over the best restaurants in antigua guatemala? check these out!